When film critic Peter Biskind talked about “the deification of the director” in reference to the maverick filmmakers, such as Hal Ashby and Martin Scorcese, who he thought saved the film industry, he probably didn’t realize that his all too apt concept would reach as many niches and markets as it does now. Wes Anderson, Christopher Nolan, Joss Whedon, Harmony Korine, and Quentin Tarantino have all electrified different, but slightly overlapping, demographics, who have in part put complete faith in the filmmakers. A prime example came this past summer after early reviews of Nolan’s The Dark Knight Rises hit review site Rotten Tomatoes. Some of the people who gave the film negative reviews received threats and a huge volume of criticism. Are moviegoers really so impassionate about a director that they will defend a film they haven’t even seen? Weirdly enough, they are, and now they’re all riled up about yet another director: Chan-wook Park. Park’s most recent release to hit American cinemas, Stoker, is also his first written in English. 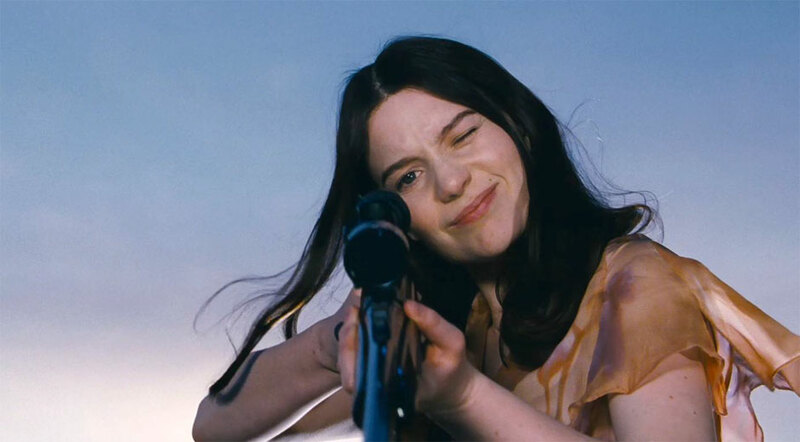 The events of Stoker take place slightly after a teenage girl named India (Mia Wasikowska) and her mother (Nicole Kidman) lose their man of the house in a car accident. During the wake, the never previously mentioned Uncle Charlie (a fantastically creepy Matthew Goode) shows up to live with the family until he gets on his feet after traveling the world. Throughout the first two acts, it’s obvious that India’s mother and her uncle are in some kind of cahoots, and they both seem to stick her nose in what they’ve done, but she can’t figure out specifically what it may be. After seeing the trailers for this movie a few times, I honestly couldn’t wait to see it on the day it opened. It seemed like the taut and unsettling horror movie that I’d been waiting to see, something to rise above the usual drek. In addition, I loved the director. Park had made some of the best movies to come out of Korea, most notably his “Revenge Trilogy.” The middle and most famous installment, Oldboy, had made it big internationally. I remember hearing about the movie after watching “The 100 Scariest Movie Moments” on Bravo when I was twelve or thirteen around Halloween: a haggard looking Korean man cutting out his own tongue while begging for compliance in a stark white and intensely modern penthouse somewhere in Seoul. I got instantly hooked. His films explored the ramifications and irreversible consequences of revenge, which is often glamorized and encouraged in Hollywood action epics. At that point I realized that I had become what I hated most in the world: an unequivocally enthusiastic fanboy. Then, naturally, I began to make compromises against my usual sensibilities with regard to anticipation. However, it looked like the movie may be disappointing. Against my better instincts, I read a few reviews of the movie. All of them said that it was a hollow husk that completely relied on fancy directing and a forced Southern Gothic aesthetic to keep interest. The script, written by Wentworth Miller (the guy from Prison Break. No, seriously), had all-too-familiar and heavy-handed Hamlet references, and that it had too many similarities to Hitchcock’s 1940 movie Shadow of a Doubt. Hell, it even featured a scheming Uncle Charlie ready to make friends with the teenage daughter of a rich widow. In fact, the consensus seemed to be that since Chan-wook didn’t have as much creative control as in his Korean films, the final product turned out to be a wishy-washy Hitchcock impersonation with a shiny new coat. The thing is, though, I still loved the movie. The acting was top-notch: Wasikowska’s slight woodenness worked in the role, Goode exercised masterful restraint while still letting a little crazy out at the appropriate moments, and Kidman did much with her comparatively small role. The automatic Hitchcock comparisons proved to be pretty inaccurate. Despite once saying that seeing Vertigo inspired him to make films, Park did bring his unique style and voice to Stoker. Obviously, with a film of this tone and plot, it would be difficult not to pay homage to the man who invented both. However, these comparisons are, quite simply, too easy to make. To do so would pigeonhole one of the most unique directors working today. Park, along with his cinematographer Chung-hoon Chung, scrutinize each shot with Kubrick-like presiceness, while the stilted dialogue and blocking are definitely reminiscent of David Lynch’s films. Stoker is also somewhat literary in its subtle metaphors and symbolisms, but it stops short of being pretentious or high-falluting. The final outcome is a deftly crafted movie, with a script more archetypal than cliché. These comparisons do exist, but the departures and deviations are much more interesting because of their novelty. Although I genuinely enjoyed the film, I started to wonder if it had been for the right reasons. Going into something with that many expectations can definitely skew one’s view. Was I just singing these praises to prove the detractors of my admitted fandom wrong? Had the comparisons I made to other filmmakers been too contrived, even though I complained about others making contrived comparisons? Why did I feel the need to make comparisons at all? In the end, I recommend going into movies with as few expectations as possible, good or bad. To have a positively and genuinely organic experience with something as hyped up as a Fox Searchlight movie, just go see it.